211 Bernard: The shelf belongs to... Tom Gauld! The shelf belongs to... Tom Gauld! 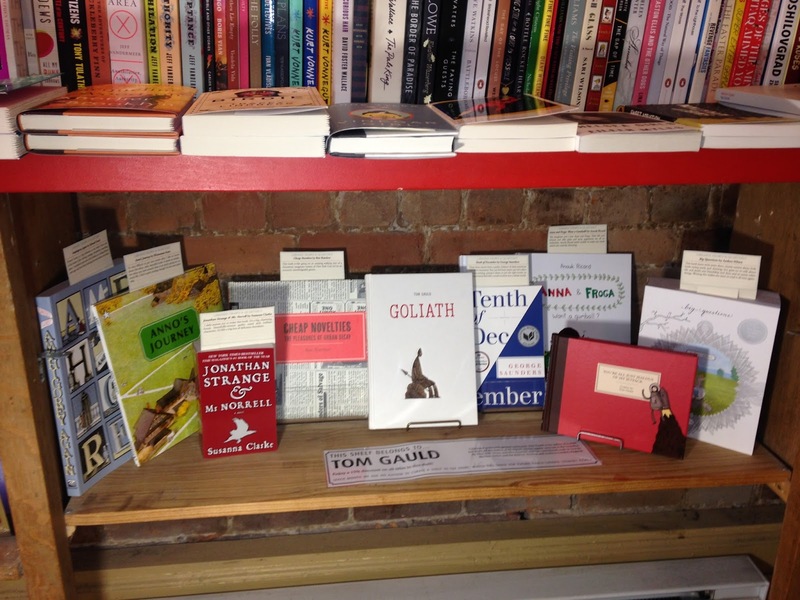 Each month, Librairie Drawn & Quarterly invites a local author or artist to curate a shelf in the store. 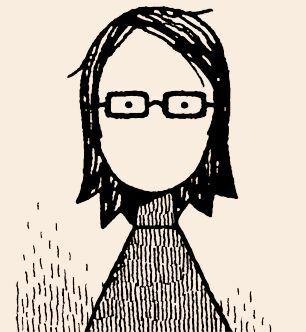 This August, we bring you recommendations from Tom Gauld! This fall Britain's most acclaimed cartoonist Tom Gauld goes on tour for Mooncop, a funny and melancholic tale of cosmic meanderings. In Mooncop, Tom Gauld details the daily musings of the last policeman living on a lunar colony; an outmoded and irrelevant job in a future where the colony has long since been built and left to disintegrate. Catch Tom speaking and signing at the following festivals and bookstore in the coming months! Ben Katchor: Cheap Novelties - This book is like going on an amazing walking tour of a fantastical, imaginary version of New York City led by an eccentric, knowledgeable genius. Roz Chast: Theories of Everything - I've always loved seeing Roz Chast's cartoons in the New Yorker but collecting so many together underlines how great she is. The shaky, scratchy drawings perfectly match her nervy characters and hilariously bleak worldview. Edward Gorey: Ampigorey Also - Edward Gorey is a big influence on my work. Every one of his books is like visiting a strange, wonderful, unsettling place. I stumbled upon one of his books in a college library years ago and have been hunting his work down ever since. Mitsumasa Anno: Anno's Journey - It's very difficult to put into words what I like so much about this silent, calm, beautiful book. It seems so simple, but when you look around there is so much going on, so much glife. I find it quite moving, though I'm not sure quite why. Anders Nilsen: Big Questions - This book starts with some short, funny comics about little birds eating seeds and chatting, but goes on to talk about life and death and friendship and duty and so many other things. Writing this makes me want to read it all over again. Susanna Clarke: Jonathan Strange and Mister Norell - I defy anyone not to enjoy this book. It's a big, charming, funny, beautifully-written gothic novel with brilliant characters. It's like a big box of delicious chocolates. Anouk Ricard: Anna and Froga - Want a Gumball? - My daughters and I love Anna and Froga. Their life and friends and silly jokes and petty arguments are all so believable. Anouk Ricard seems unable to make any work which isn't entirely charming. George Saunders: Tenth of December - These short stories have a perfect balance of dark weirdness and warm humanity. You can feel how much care he's taken with the writing, paring it down to just the right words, so that each story feels like a small window into a whole world.